I built this remote controlled tank in the summer of 2016. I salvaged the DC motors from 7.2V Craftsman power drills. 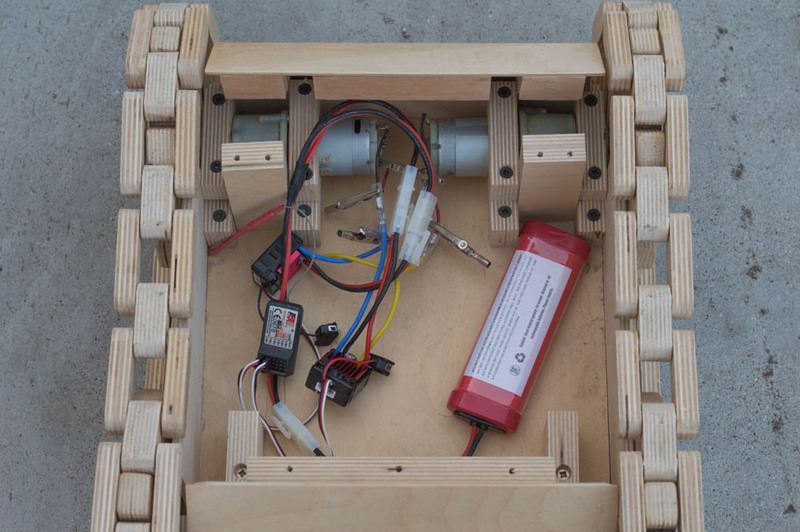 Using drill motors for this project was ideal because they already had gearboxes attached. This provided enough torque to propel the tank, which weighs over 12 pounds. The right motor was controlled by moving the stick up/down. The left motor was controlled by left/right stick movement. Turning was achieved by running one motor faster than the other. I am currently working on removing the transmitter/receiver altogether and replacing it with Arduino control. I connected the Arduino directly to the ESC and determined the signal sequence that arms the ESC. By sending PWM signals directly to the ESC, I can control the speed of the motor with code and programming. 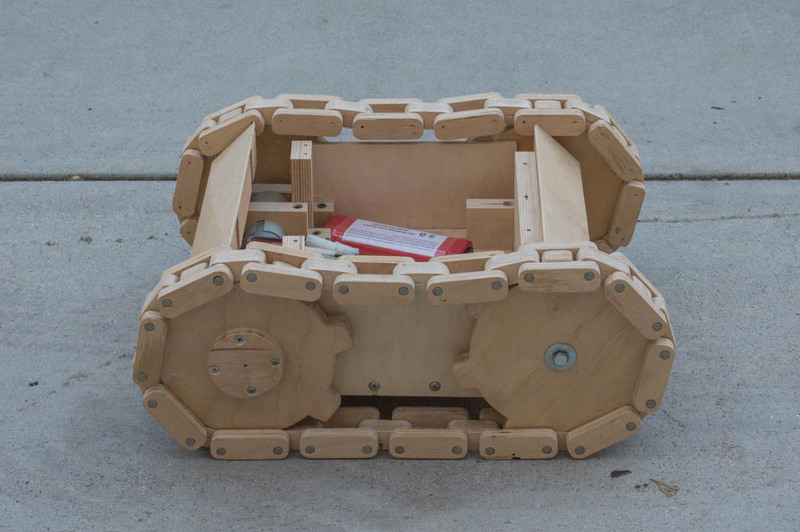 The tank would then be a platform for potential robotic projects that I aim to do in the summer. I plan to incorporate a Raspberry Pi into the system and implement computer vision. 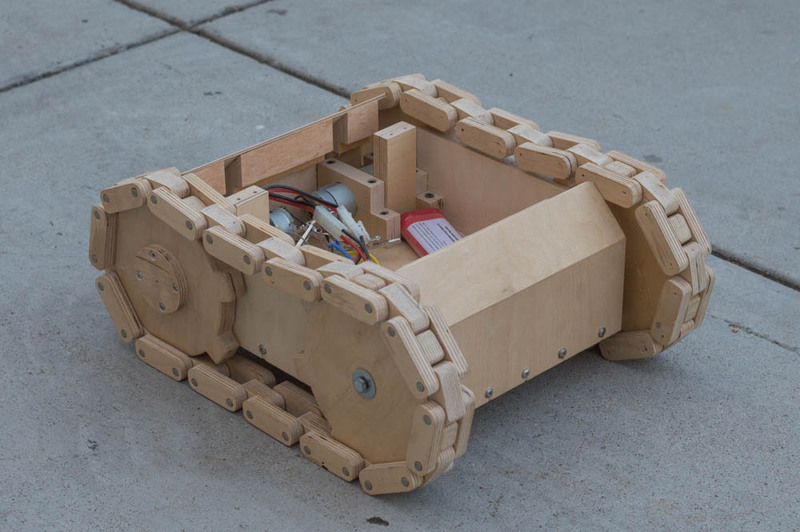 By using the Pi’s camera module and the OpenCV repository, I can have the tank run autonomously. My stretch goal at the moment is to have the tank follow me around by scanning for QR code that would be attached to my shoe.